This post is Day 19 in the 31 Days to a Super-Purposeful Schedule series. This week, we've been talking about how putting Systems in place can help us be more purposeful with our schedule and priorities. 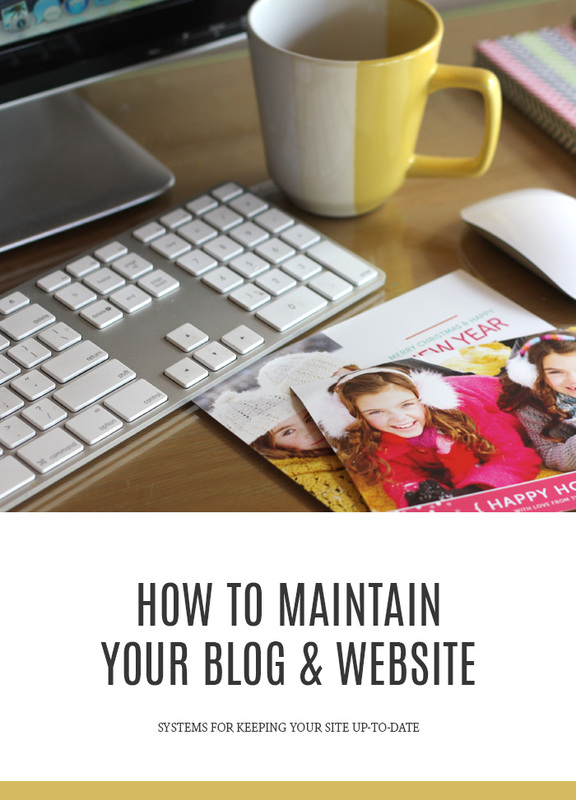 Today is all about creating a system that keeps your blog and website maintained. I think it's really common for businesses and blogs to create a website and then forget about it. We don't see the site as a new viewer would see it and think about what purposes they have for being there. A site that never gets updated because you're not sure exactly what needs done/how to do it. Shooting in the dark with your content because you don't really know which posts and pages are resonating with your audience and which ones are causing people to leave. Getting so focused on the main content creating that you might forget to check the small details like broken links, missing information or making sure it all works well on mobile devices. These things don't seem like a big deal when compared with the work that needs to be done or appointments that need to be kept. But out websites are one of our front doors. They might be the first and only thing people know about our businesses. So if it's not up to date our credibility is at stake and we might miss out on some really big opportunities. Systems for your site might look like having an email list sign-up for people who want to know more. They can come in the form of analytics and a way to remember to check them so you can track how people are interacting with your content. It might look like a page of tutorials, FAQs, or other resources that you can refer people to. Or scheduled routines that help you check all your links, copy and SEO. Maybe you could install a tool that publishes all of your content to social media. All of these examples are ways that you can use Systems to help you run and maintain the website or blog you created. Just like with customers systems, I'm attempting to spend one morning a week on a checklist that focuses entirely on keeping the site maintained. On Tuesdays, I go through my list of tasks to check for broken links, SEO and keywords for new content, and analytics. I decide which information I want to try to highlight for viewers each week. I check for updates that need to be made or improvements to the overall experience. And then if there's time I might go back to older posts that need fixed and update a few. You can create a list like this to help you remember to check those the small details. After running through the checklist, decide what you need to know more about. We can get paralyzed with our sites if we don't know exactly how to do something or if we don't know what needs done. This is a perfect time to look up tutorials online or set up an appointment with your blog designer or website designer to teach you some basics. If you can't make the basic changes to your site on your own you're going to feel stuck. 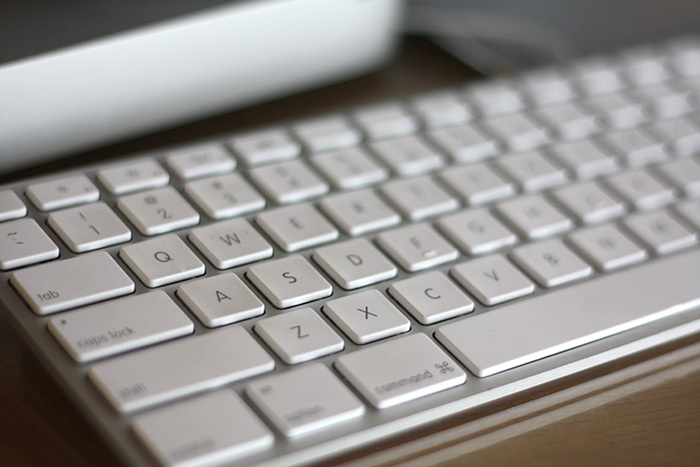 If you don't know what keywords or topics to focus on, you'll feel stuck here too. So take a little time each work to learn more. You don't have to fix everything today, but keep a running list of what needs fixed. If you're always running into the same problems, write those down. If you need to replace outdated images or copy, write down the basics. Need to find a plug-in or software that automates a step for you each week? Add it to the list. Making a note of what needs to be done can keep these tasks fresh on your mind for when you do have time. Your site shouldn't be a flyer, it should be a magazine. You can do so much more than just tell people what you do and how to work with you. Dream up some ways for your customers to consistently experience your business firsthand. Create new downloadable freebies each week they can try, give them monthly tutorials on how to best use your product/service, write posts with examples of how your work has made a difference or why you do what you do. Share news and events and behind the scenes info. Always keeping fresh and up-to-date resources will give others a reason to keep coming back and also have a way to share you with their friends. For a lot of people your website or blog is the very first thing they'll look at when they hear about you. Creating systems like these can help ensure that you're making a really good first impression.